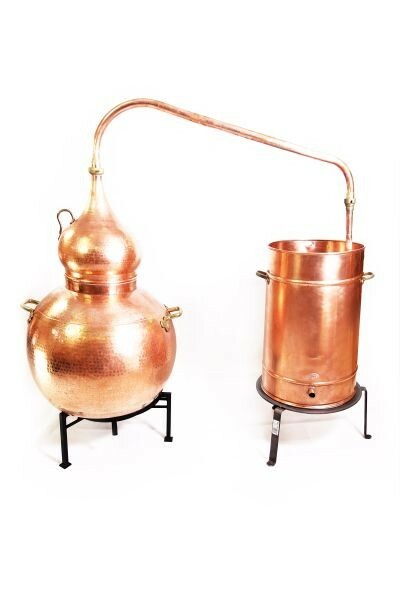 Our lowest priced "large still": a lovely riveted alembic, hand-forged and also ideally suitable as a decorative object. 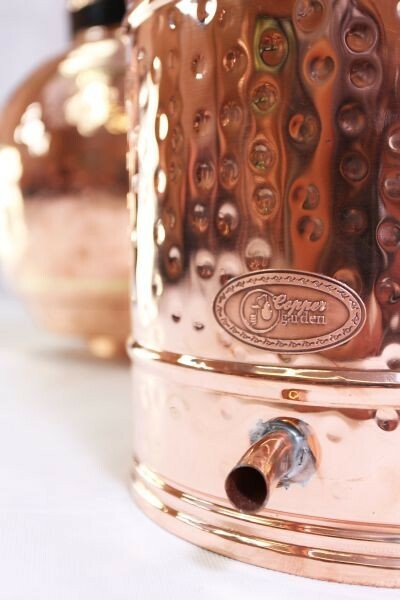 This wonderfully made and riveted alembic was, like our other stills, also traditionally hand-forged. 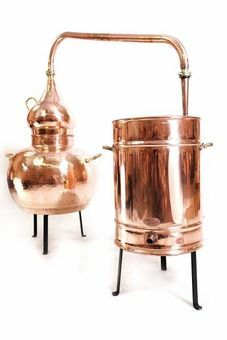 In order to be able to offer this alembic at a lower price, the individual pieces of the boiler were simply sealed with tin (food-safe & lead-free). 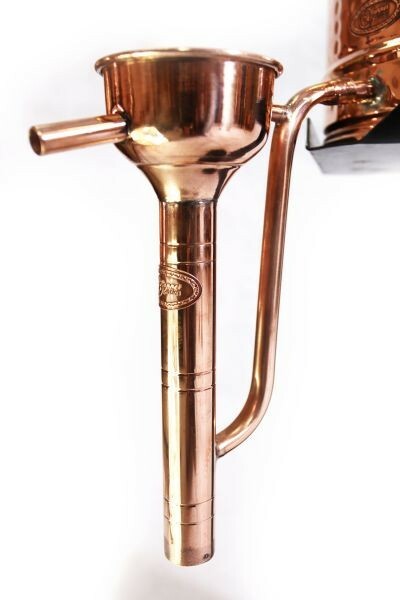 The result is an efficient still with good value for money. Entstanden ist eine leistungsfähige Destille mit optimalen Preis-Leistungsverhältnis. 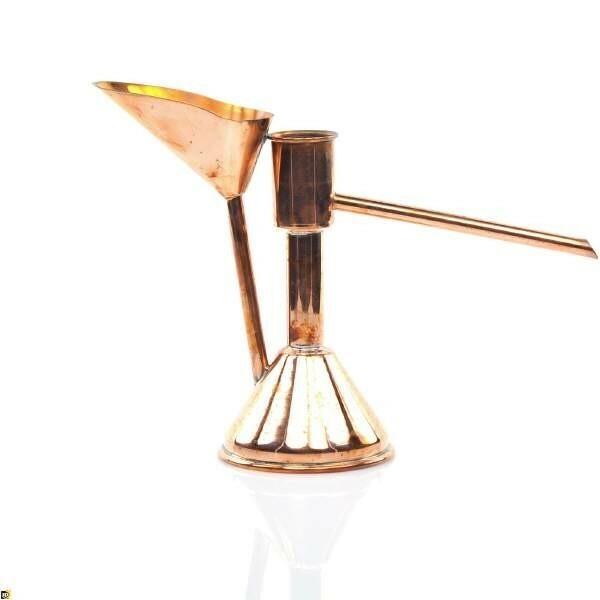 A magnificient piece of work which is suitable for real distillation as well as an exhibition object. 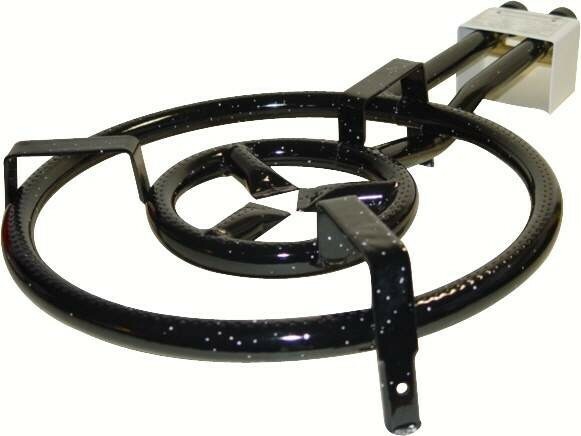 The boiler, riveted and sealed with (naturally lead-free) solder, is delivered complete with a fully formed head, a screw-on swan neck and an adequately-sized connected condenser with a soldered on cool water intake and drain (stands are not included). Because of the size, the still must be personally collected or delivered by a forwarder. The size of the package is eqivalent ot the size of a euro-pallet 120 length x 80 width x 100 height. 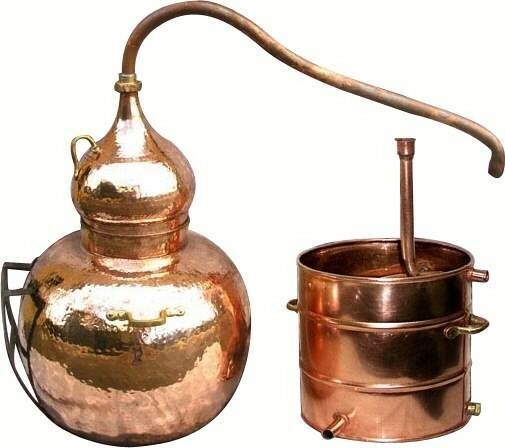 This still is recommended for exhibition and decoration purposes, as well as for proper distillation. The still is definitely a valuable piece - we have only chosen the most uncomplicated production method and thereby saved on working hours and material. That is a good idea, especially if you only want to distill a few times a year.